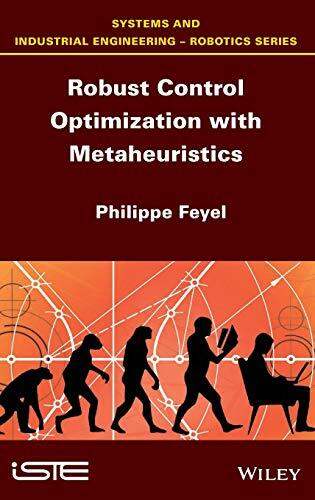 [PDF] Robust Control Optimization with Metaheuristics | Free eBooks Download - EBOOKEE! Description: In the industrial framework, a Control Engineer must design a unique control law that is then tested and validated on a single prototype with a level of reliability high enough to to meet a number of complex specifications on various systems. In order to do this, the Engineer uses an experimental iterative process (Trial and Error phase) which relies heavily on his or her experience. This book looks to optimise the methods for synthesising servo controllers by making them more direct and thus quicker to design. This is achieved by calculating a final controller to directly tackle the high-end system specs. No comments for "[PDF] Robust Control Optimization with Metaheuristics".